An experienced investment and strategic financial advice expert, Adelaide-based Larissa Hall provides tailored quality investment advice in line with the Investment Committee’s recommendations to suit client’s individual goals, needs and preferences. Larissa also provides strategic financial advice that is tailored to her clients’ individual circumstances and objectives. She specialises in tax-effective wealth creation, superannuation and retirement planning, wealth protection and government benefits. “Building open, communicative relationships with every client we help is absolutely key towards better understanding what they are trying to achieve with their portfolio and enables us to really tailor our advice,” Larissa says. With knowledge and experience across a wide range of asset classes, including cash accounts, hybrid securities, bonds, Australian shares, US property and gold, Larissa also meets with new clients and assists with both training and mentoring the Melbourne team. She ensures investment advisers are providing quality, timely advice in line with the views and recommendations of the Investment Committee. “Our advisers help clients identify what they want to achieve and ensure they’re informed about their investments and comfortable with their decisions,” Larissa says. Since joining Dixon Advisory in 2008, Larissa has held a number of roles within the Investment Advisory teams including working as Director, Head of Melbourne Investment Advisory and Director, Head of Sydney Investment Advisory. Prior to Dixon Advisory, Larissa worked at Sheridan & Associates, Guardian Financial Planning. Larissa has a Bachelor of International Business from the Australian National University as well as a Diploma of Financial Services (Financial Planning), a Masters of Applied Finance and Investment from Kaplan Professional Australia. She has also completed her Masters of Business Administration from the Edinburgh Business School, Heriot-Watt University and is a Certified Financial Planner (CFP®). 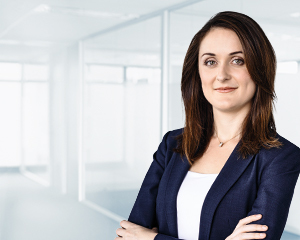 Larissa is accredited by the Stockbrokers Association of Australia and has the Accredited Derivatives Adviser (ADA) qualification and is a graduate member of the Australian Institute of Company Directors having completed the Company Directors Course.